So there I was trying to come up with a week long menu for my family’s camping trip. I didn’t want to eat hot dogs and deli sandwiches all week (yuck, nitrates). I decided that just because we were camping didn’t mean we couldn’t have a good lunch. 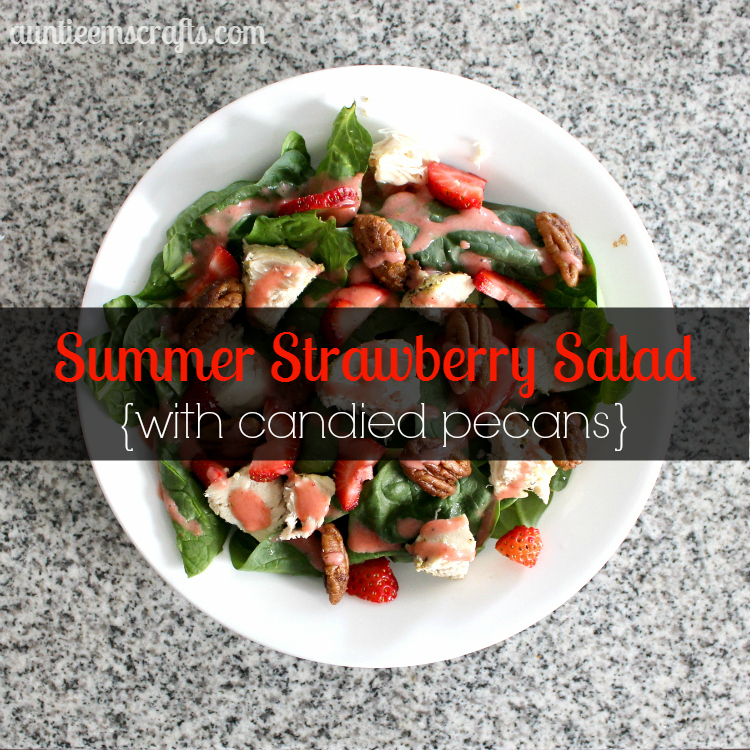 This summer strawberry salad was the perfect solution for us. 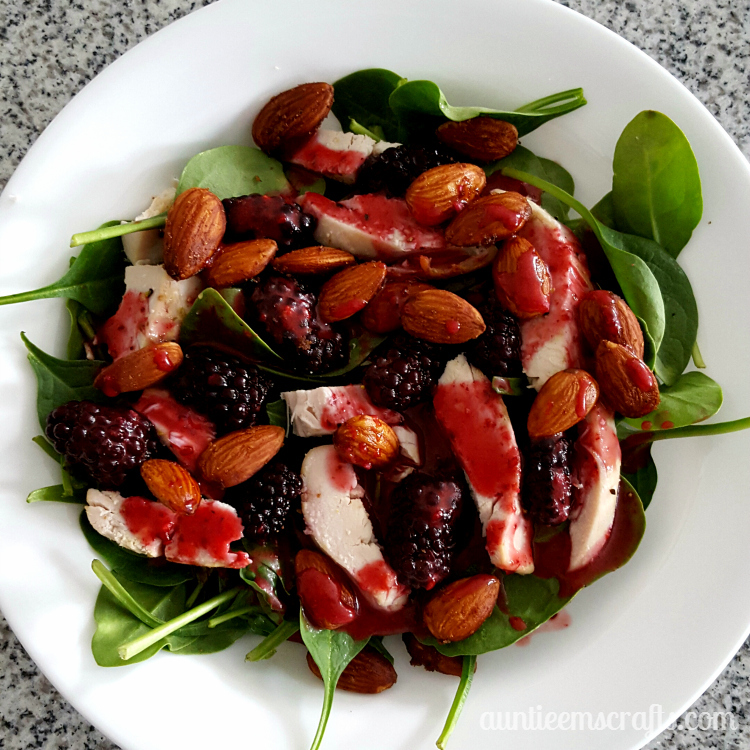 It pairs my favorite summer fruit with some of my other favorites: candied nuts, lemon pepper chicken chicken, and some healthy spinach. I prepped this meal the day that we left so that I could enjoy it for several days. First, start off by cooking a package of 3 organic chicken breasts in a crock pot. Set the heat to high for 4 hours. Sprinkle the chicken with lemon pepper seasoning. I like to use the Lemon Pepper Rub from Pampered Chef, but any store brand would do the trick too. Let the chicken cool before slicing. 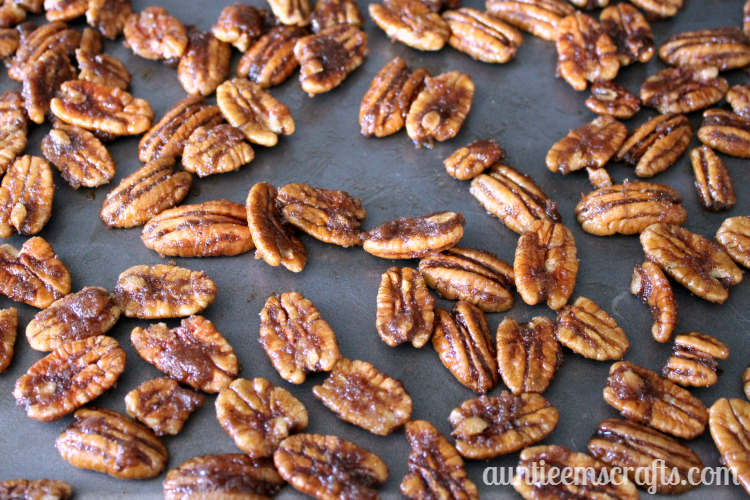 Next, make the candied pecans. Preheat your oven to 350. Melt 1/3 stick of butter in the microwave. 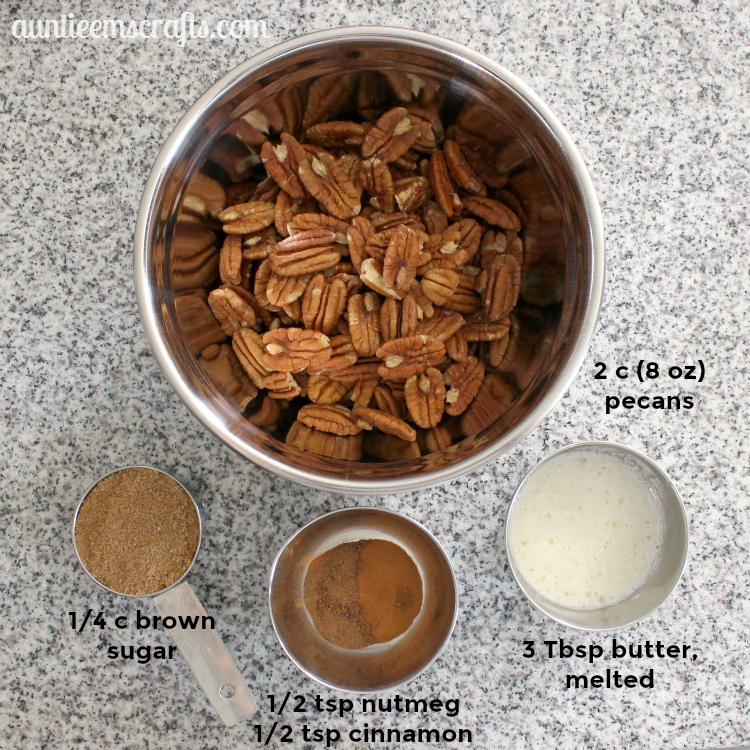 Pour the butter over 2 cups of pecans. Stir in 1/4 cup of packed brown sugar and mix well. Spread onto a cookie sheet and bake for 5 minutes. Next, make your strawberry vinaigrette. Blend 4 strawberries in a blender or food processor. Add 1/4 cup canola oil, 1/4 cup red wine vinegar, 1/4 cup sugar, 2 tablespoons mayo or dijon mustard, 1 tsp lemon pepper seasoning, and 1 clove garlic (minced). 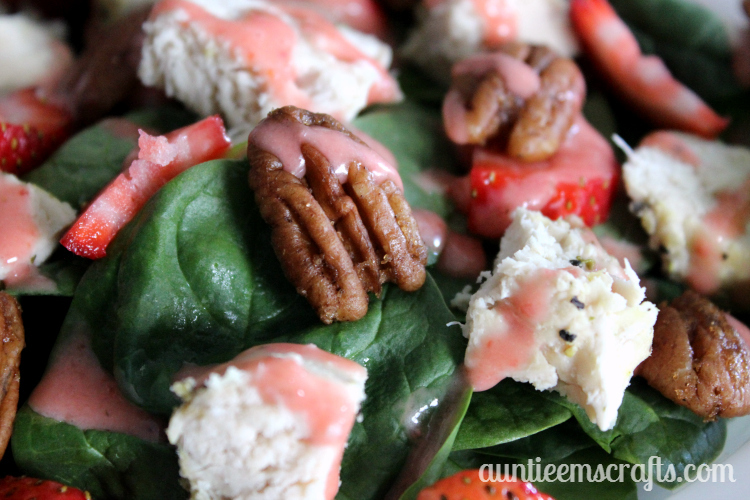 Fill your bowl with a heaping pile of spinach, then add the chicken, nuts, dressing, and a few extra sliced strawberries. You may also substitute blackberries and almonds for a tasty alternative. 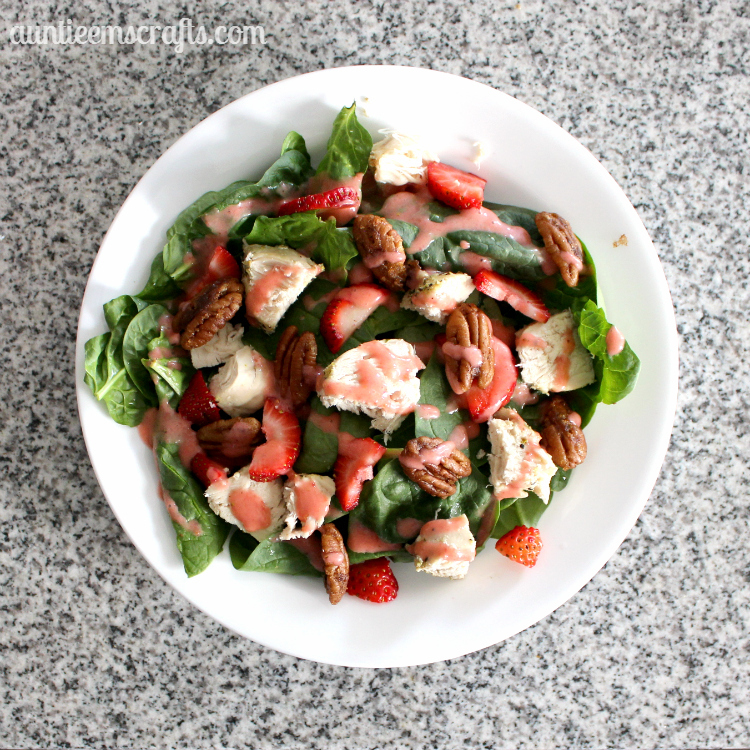 This delicious salad will serve about 6 people. It is one of my favorites to share with my family and neighbors. I hope that it will soon become one of your favorites as well!